Over the course of nearly two decades, the world-class D.I.Y. 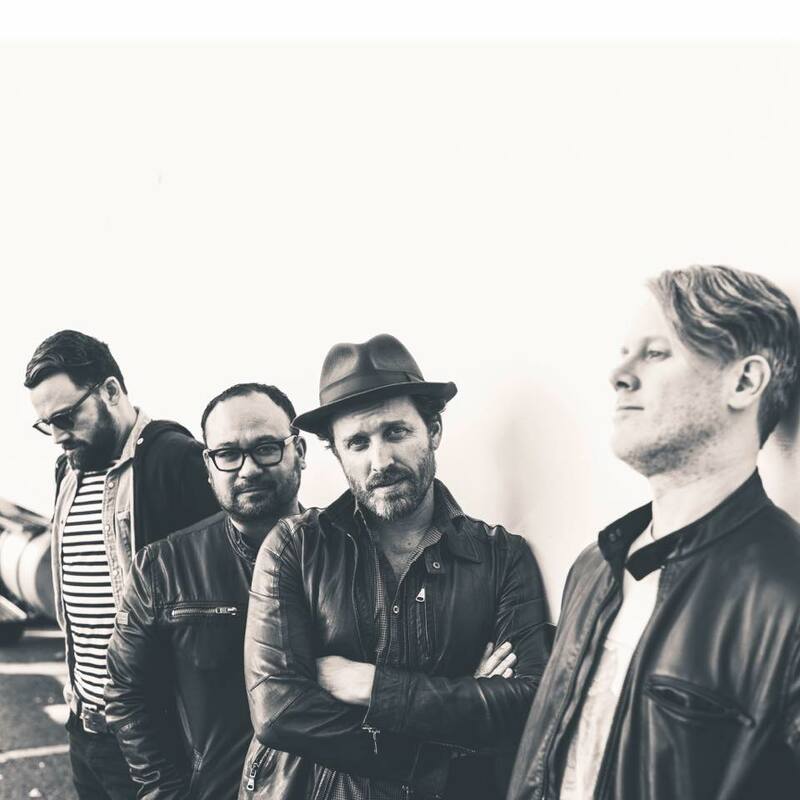 rock quartet known as Louden Swain has quietly built a powerful body of recordings, earning a fervent grass-roots fan base and an impressive backlog of critical acclaim. The resourceful Los Angeles combo has released a series of impressively accomplished albums, toured successfully throughout North America and Europe, and emerged as a popular Youtube sensation—all without the support of a mainstream record label. “This is our most mature album we’ve ever done, and there are some big emotions in these songs,” adds singer Rob Benedict, stating, “We approached the recording differently. In the past, we practiced and wrote until we felt 100%, and then went in and recorded. This time, things were a lot looser. We took a few old songs and a batch of new songs, some of which were barely written, and filtered them through the band that we are today. A few of these songs were written in the studio, and some of them were recorded before the lyrics were written. A knack for seizing the moment has been a key element of Louden Swain’s character since day one. Taking their collective moniker from the plucky protagonist of the ’80s film Vision Quest, Benedict, Norton and bassist Mike Borja launched the band in 1997, after meeting at Northwestern University in Illinois. Their raw, punk-inspired early sound quickly expanded into a more adventurous and experimental sensibility, while maintaining the appealingly tuneful, emotionally open approach that first endeared the group to its fans on the early releases 2001’s Able-Legged Heroes and 2003’s Overachiever. The addition of lead guitarist Billy Moran in 2006 allowed the longtime bandmates to finally create the music that they’d been hearing in their heads. Those epic visions manifested themselves on the albums Suit and Tie (2006), A Brand New Hurt (2007), Eskimo (2011) and Sky Alive (2014). The release of Eskimo was followed by extensive American and European tours that included instantly successful shows in New York, London, Chicago and Berlin, and the appearance of Louden Swain’s music in the CW television series Supernatural. But the band’s career momentum ground to a temporary halt when lead singer Benedict—also a busy actor with a resume that includes the films Waiting… and Kicking and Screaming and the TV series Felicity and Supernatural—unexpectedly suffered an ischemic stroke, throwing his future—and the band’s—into question. By January 2014, he’d made a miraculous recovery and come up with a passel of inspired new songs. Those tunes became the foundation of the widely acclaimed Sky Alive, which demonstrated the band’s literal new lease of life. With No Time Like the Present now a reality, Louden Swain is set to once again take its music on the road, reconnecting with old fans while seeking out new ones, and reasserting the can-do spirit that’s gotten them this far.